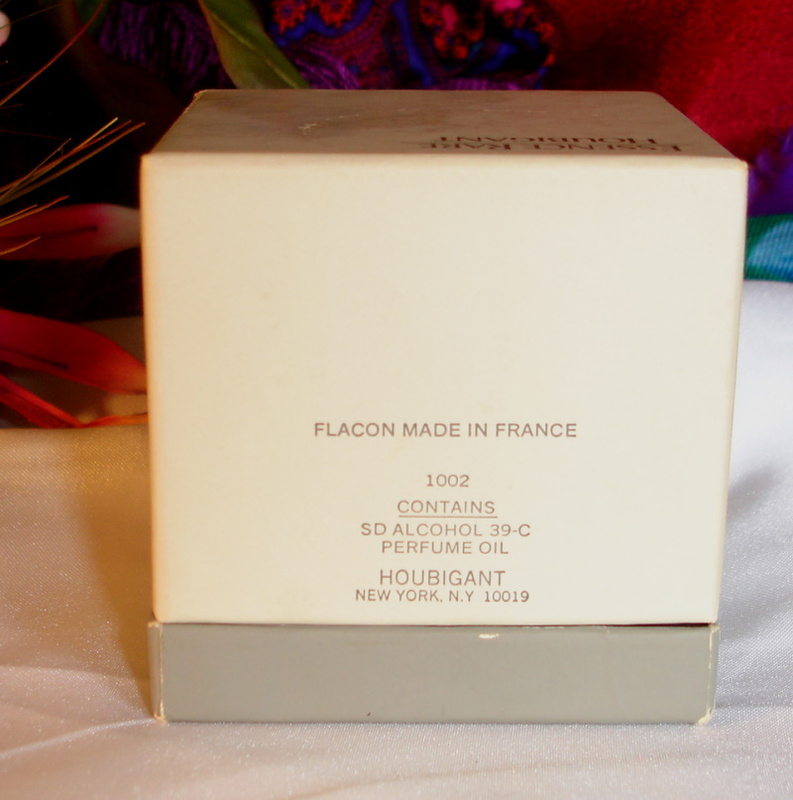 Description: Rare and discontinued Houbigant Essence Rare parfum in its box. Bottle is 85% full and smells lovely. 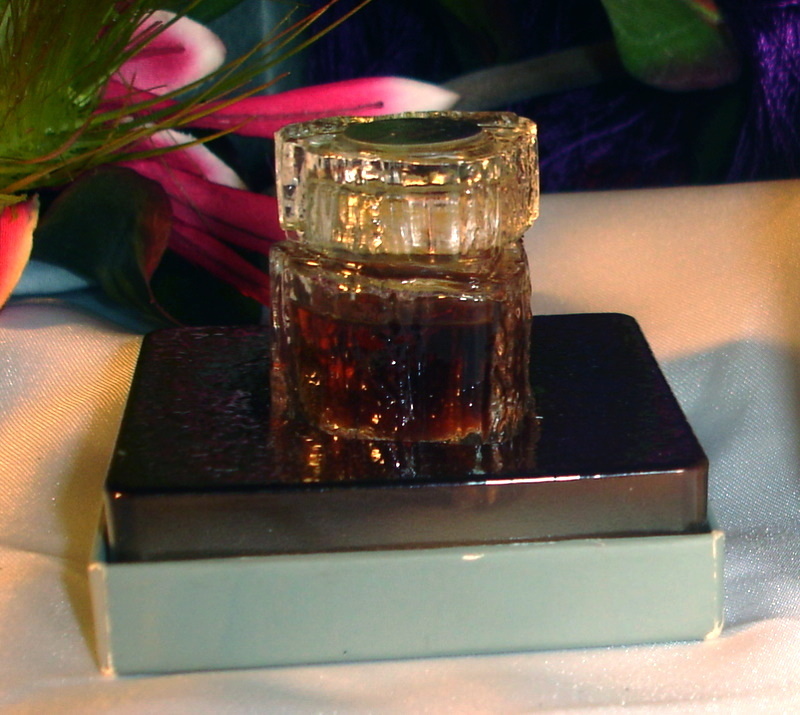 Bottle and stopper are made of glass that resemble an ice cube. Silver paper label on the top and bottom. Bottle measures 1 3/4" tall x 1 1/4" wide and is in wonderful condition, no cracks or chips. Box has some old stains on the top of the box and some wear on the corners of the box. Essence Rare was the last fragrance Robert Bienaimé created for Houbigant before he opened his own company under his own name in 1935. 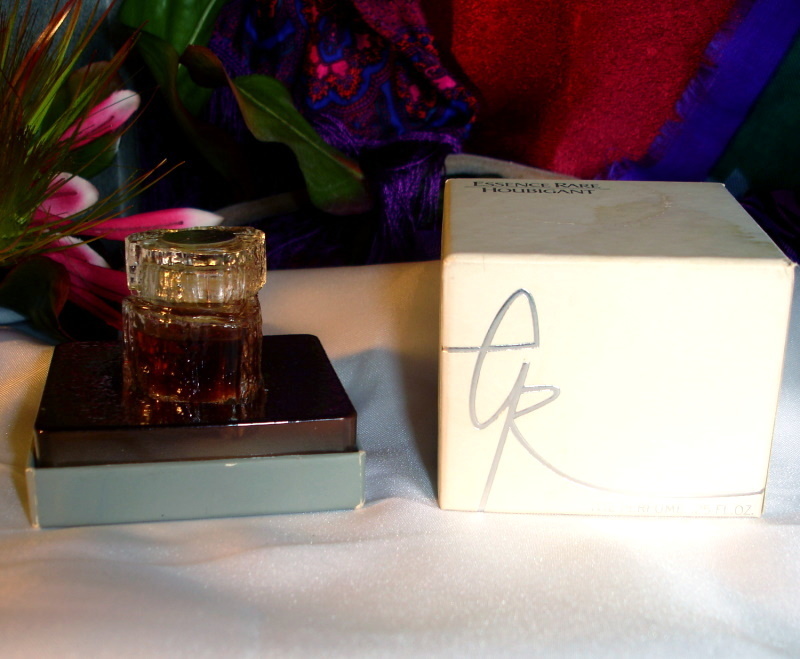 Essence Rare was first released in 1928 and reformulated and released again in the 1970s. If you enjoy luscious floral bouquets made more effervescent by the addition of aldehydes, you will love Essence Rare. It is a woody floral aldehyde with notes of bergamot, orange, and greens, geranium, lily of the valley, lily, May rose, and orris. on a base of bourbon, oakmoss, civet, tonka bean, vetiver, and musk. This is very hard to find & worth trying, a sort of astringent boozy Chanel No. 19. I have owned this for more than 10 years and it was full when I bought it. 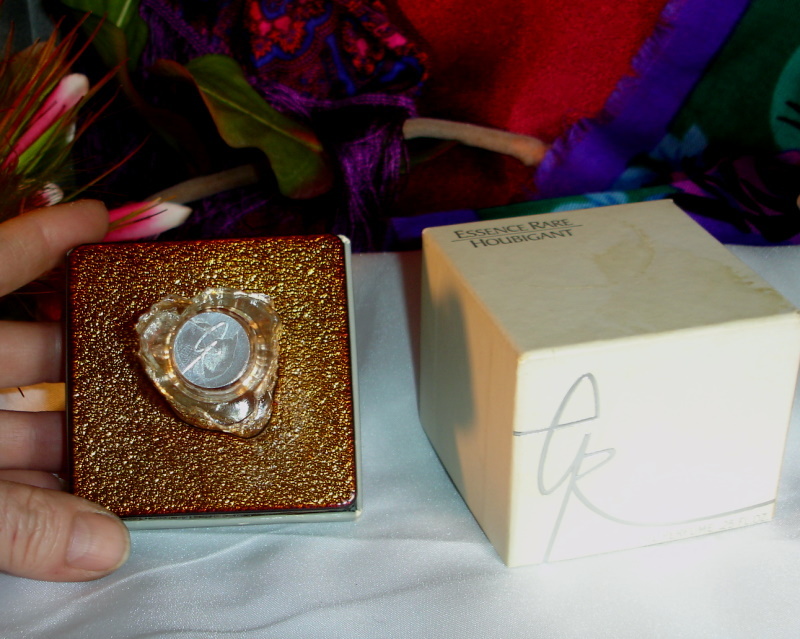 I have used some over the years and can verify that it is unique, beautiful and worth owning.